This analysis uses data from the Health and Retirement Study (HRS) to examine the sources of variation in mortality for individuals of varying socio-economic status (SES). The use of the HRS allows a distinction between education and a measure of career earnings as primary determinants of socio-economic status for men and women separately. We use those predictions of mortality to estimate the distribution of annual and lifetime OASDI benefits for different birth cohorts spanning the birth years from 1900 to 1950. 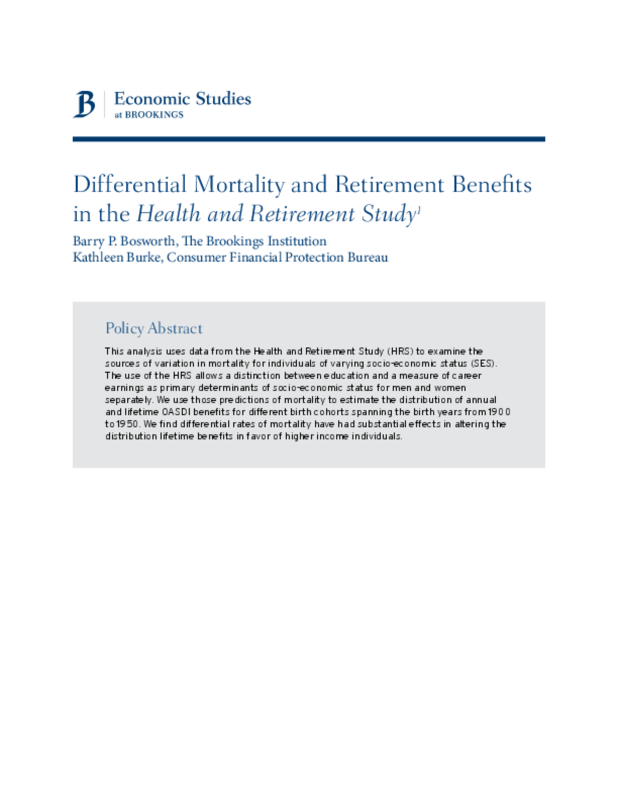 We find differential rates of mortality have had substantial effects in altering the distribution lifetime benefits in favor of higher income individuals.